i bought this for my dad and he digs the lay out, and the size and material is awesome no regrets here. Creepy... But I like it! 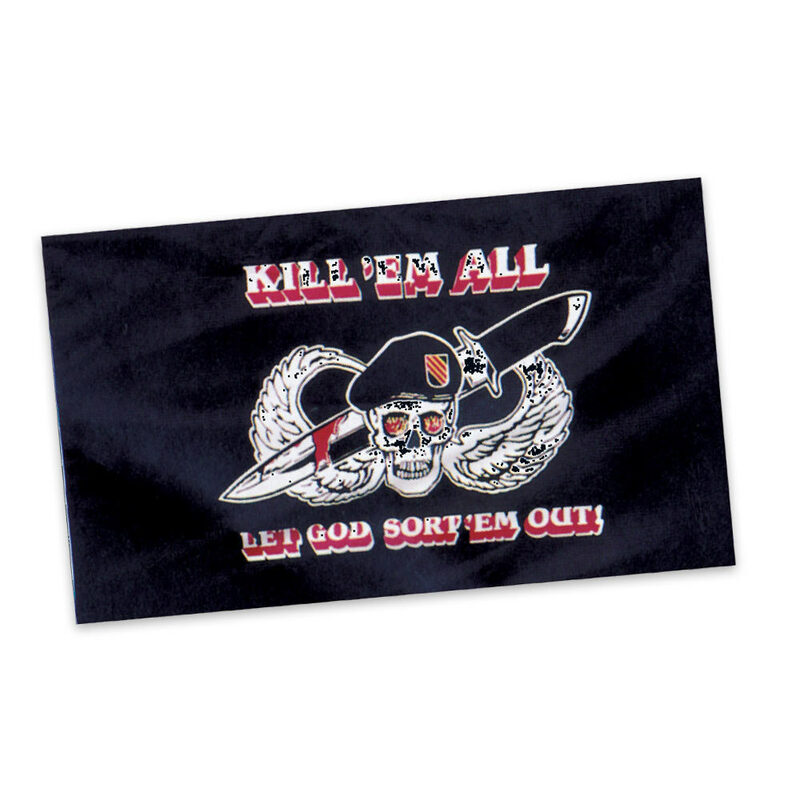 The skull with flaming eyes and the knife with blood on it gives this flag one spooky feel, but the saying is what sells this piece. I like the mystery this adds, and it's definitely one hell of a conversation starter! I recommend this to anyone who collects skulls or special forces memorabilia.